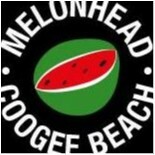 Melonhead joined our Mission to help provide access to “Clean Water for All by 2030”. This Mission was initiated by the United Nations. A big thank you to Melonhead’s team and customers for joining this extremely important mission on 14 January 2018. Delicious, healthy and convenient juices and smoothies, yoghurts, fruit salads and more made from only the freshest produce and natural ingredients. Not just another juice or salad bar; we are a family-owned and run juicebar in Coogee who source all fresh produce hand-picked from the markets to create our delicious, healthy and convenient menu. Come in-store to try our wide selection of refreshing beverages – from fruit and vegetable juices, fresh fruit crushes, world famous smoothies, protein shakes and organic coconuts to nutritious wheatgrass and acai shots. We showcase a range of fresh salads made with quality produce and seasonal ingredients. Our delicious fruit salad, yoghurts, homemade bircher muesli, freshly made Turkish rolls and decadent chocolate coated strawberries make for the perfect meal or treat…just to name a few.